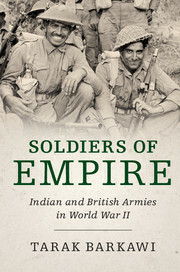 We are thrilled to announce that Tarak Barkawi, Professor of International Relations at the London School of Economics, has been selected as the winner of the 2018 Paul Birdsall Prize for the book Soldiers of Empire: Indian and British Armies in World War II (Cambridge Univ. Press, 2017). 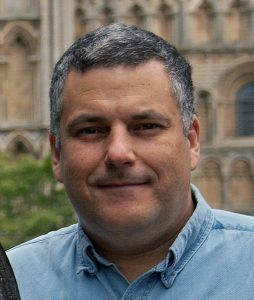 The Birdsall Prize is awarded biennially by the American Historical Association (AHA) to honour a book in European military and strategic history since 1870. The prize will be awarded during a ceremony at the Association’s 133rd Annual Meeting in Chicago, IL, January 3-6, 2019. Barkawi’s book was selected by a prize review committee of AHA members including Adam R. Seipp (Texas A&M Univ., Coll. Station), chair; Rafe Blaufarb (Florida State Univ. ); and Bruno Cabanes (Ohio State Univ., Columbus). The Paul Birdsall Prize in European Military and Strategic History was established in 1985 by a generous gift from Professor Hans Gatzke, who remained anonymous until his death. Paul Birdsall (d. 1970) was a historian of European diplomatic and military affairs and a foreign service officer. The American Historical Association is a nonprofit membership organisation founded in 1884 and incorporated by Congress in 1889 for the promotion of historical studies. The AHA provides leadership for the discipline, protects academic freedom, develops professional standards, aids in the pursuit and publication of scholarship, and supplies various services to sustain and enhance the work of its members. As the largest organisation of historians in the United States, the AHA is comprised of over 12,000 members and serves historians representing every historical period and geographical area. This entry was posted in departmental news, staff and tagged awards, Barkawi, book. Bookmark the permalink.